On reading this, I was incensed by the fact that Tarantino hadn’t automatically condemned what had been revealed as a decade-long affair involving more than 40 women. It also seemed problematic that his statement centralised his personal hurt over the issue itself. I reminded myself that we didn’t yet know Tarantino’s position: part of me excused his statement on the premise that the idea of a close friend being a serial abuser must be highly distressing. 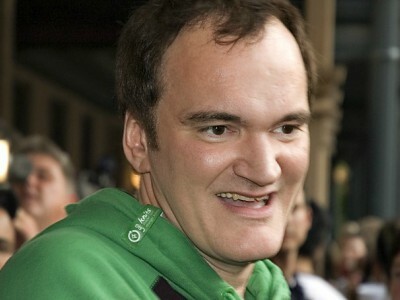 But it turns out that this was not, in fact, new information to Tarantino. In an hour long-interview with The New York Times, comments from which were published about a week after his by-proxy statement, he admitted to having been aware of Weinstein’s actions for decades. I expected the interview to serve as an public condemnation of Weinstein and an apology for Tarantino’s own lack of action, yet this didn’t happen. Rather than presenting himself as committed to improving the safety of women in Hollywood, he reveals the existence of a mindset underscored by the sexism he seeks to distance himself from. I believe that this depiction of Tarantino as the unwilling bystander who failed to connect the dots somewhat obfuscates his complicity, taking away his responsibility for hearing story after story of abuse and refusing to see a pattern. As Sorvino was now “with” Tarantino, any further assault would be directly offensive to him as it would represent another man intruding on his property. He could see nothing wrong with her safety being directly dependent on the protection his power afforded as opposed to it being a function of the right to a safe existence. Here, women are conceptualised only through their relationships to other men. Tarantino is himself guilty of perpetuating the systemic oppression that enabled and tolerated Weinstein’s actions. If we, as a society, continue to give platforms to such individuals then we send the message that directorial vision can be placed above the bodily autonomy and safety of women. However, hope may be gleaned from the fact the recent weeks have also been marked by collective social action. We’ve seen a clear backlash, especially in the #metoo campaign and in the vast numbers of individuals now empowered enough to speak out. The impunity granted to these men should not be inviolable. Tarantino and his colleagues would do well to take note. Featured image from Wikipedia Commons, used under Creative Commons Zero licence.